Climb the two highest peaks in Liverpool Land on this two week mountaineering adventure. 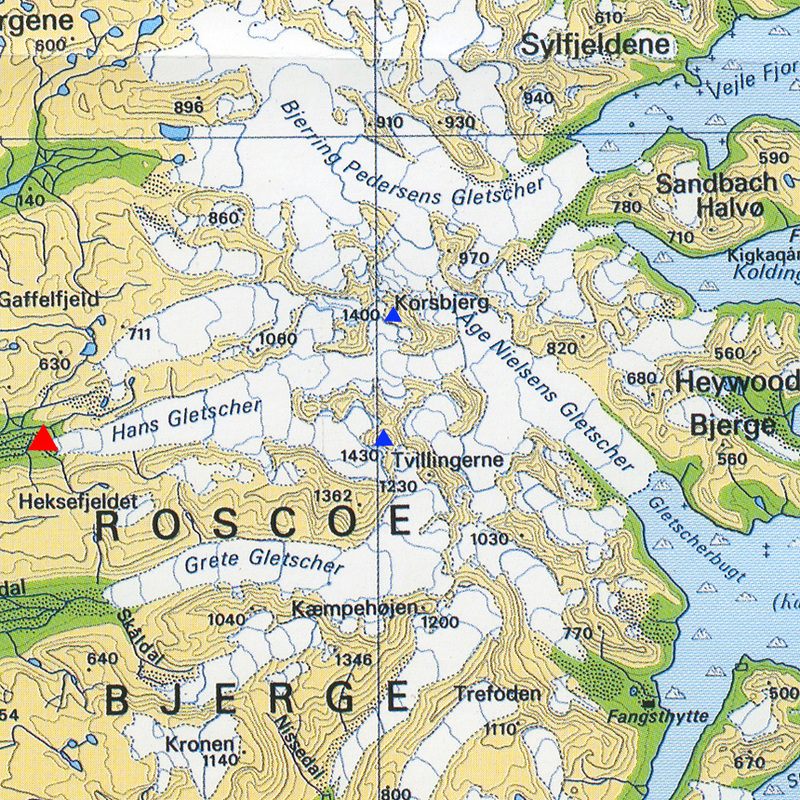 Over the course of the trip, you'll climb both Korsbjerg (1400m) and Tvillingerne (1430m), with the possibility for some smaller peaks too if time allows. Expect stunning views over mountains, glaciers and frozen seas. We'll begin the expedition with a short snowmobile journey from Tangent's base at Constable Point over the frozen Hurry Fjord to the head of the Nokkedal Valley. From here, we'll ascend the Hans Glacier to a base camp location high up the glacier, beneath our objectives. Korsbjerg and Tvillingerne are relatively non-technical summits, but we will use ropes to protect any trickier sections and on glaciers. Your guide will teach you how to rope up for glacier travel. Expect summit days of 7-9 hours. Early May in Liverpool Land can mean overnight temperatures down to -20°C, with daytime highs usually around -10°C, although these can rise well above zero. Daytimes are likely to feel warm as the sun reflects off the snow. There will be 24-hour daylight throughout your trip. Day 1: Team meets in Akureyri, Iceland for the flight to Constable Point. Here you will be greeted by Tangent staff and your guide for the trip will give an initial briefing and training session. Day 2: A day of training and kit checks at Constable Point will enable all participants to feel fully prepared for the adventure ahead. Day 3: Snowmobile transport to the Nokkedal Valley, with the afternoon spent moving up the glacier to establish a base camp location. Days 4 - 11: Climb Korsbjerg and Tvillingerne, together with other peaks in the area. Day 12: Snowmobile pick up and transport to Constable Point. Day 13: Return flight to Iceland. Participants should be moderately fit and capable of 5-8 hour mountain days with a light pack. You should have no significant knee or back problems. You can choose to travel by either ski or snowshoe. Skiers should be strong intermediate level, able to ski red runs in variable conditions. No previous snow shoe experience is required. Basic climbing knowledge is preferred, e.g. putting on a harness and tying in to a rope. Previous glacier travel experience is not required. 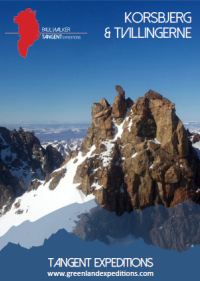 Winter hiking experience and the use of crampons will be beneficial. Prior camping experience is preferred but not essential, as full training will be given in the use of expedition tents and multifuel stoves. You will be required to cook for yourself. For details of what this includes, please download full details. Full insurance is needed for this trip, available through Tangent Expeditons. More detail is available on our insurance page.